View the full release from Sir Walter Running/Singlet Public Relations. The Pre and Postrun race party will be hosted within walking distance of the track at Raleigh Brewing Company, starting at 6pm. Wicked Weed Brewing (Run for El Dorado Pale Ale), Hopfly Brewing Co.(Beach Beach), and Raleigh Brewing (Sir Sandman Kolsch) have brewed exclusive, runner-friendly beers to raise money for the Kay Yow Cancer Fund. Bo’s Kitchen, Arepa Culture, and the Webby’s Shaved Icefood trucks will be in the Raleigh Brewing parking lot as well. 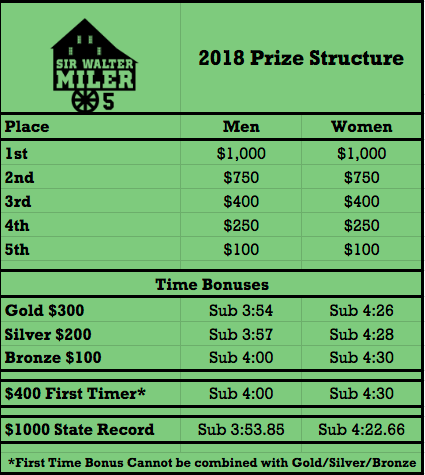 For more information, sponsorship information, or interview requests, contact Pat Price via Singlet Public Relations at sirwalterrunning@gmail.com and 919.260.8013.